Dentures are not a set and forget appliance. They need to be cleaned and checked regularly, and this will be a topic for a later blog. Some patients get so used to their dentures they even forget they have them in their mouths. 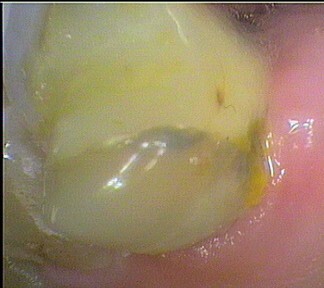 However, leaving them overnight invites two main issues – decay and fungal infection. This week decay will be the main focus. When we are asleep our saliva flow drops, otherwise, we would dribble a lot and make sleeping uncomfortable. Saliva washes away bacteria and has antibodies that reduce the amount of bacteria in the mouth. This remarkable filtrate of blood also contains repair products that repair the surfaces of the teeth, i.e. 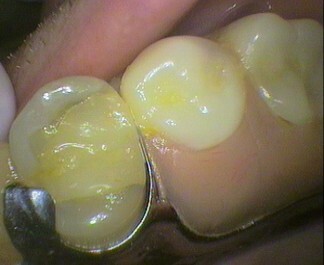 the enamel. In fact without it decay would be uncontrollable. This happens with people with dry mouths due to certain medical conditions, after radiation treatment of the head, or some medications. A denture that covers the teeth, overnight creates a localised area of reduced saliva protection. In fact the denture can hold bacteria against the tooth surface, protecting it from the cleaning actions of tongue and lip/cheek muscle movements. 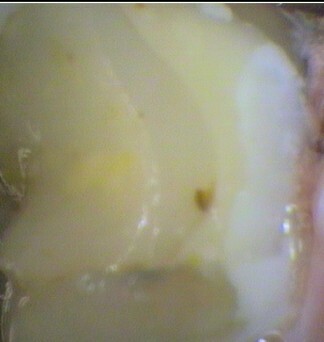 The enamel is resistant to decay; however, the exposed root surface is much less. 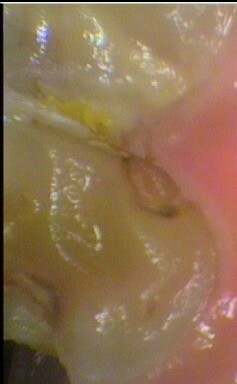 In fact, decay on the root surface can progress be very quickly. The enamel under clasps of the denture can form white spots, as the enamel loses surface calcium structure which is not replaced from the saliva. GIVE YOUR MOUTH A REST AND LET IT REPAIR. Your teeth will hardly move overnight. Anyway, once your denture is placed back in the morning the teeth will go back where they are supposed to be. Warning: if you leave your denture out for a few days the teeth may have moved too much that a dentist may have to adjust for it to fit again.